WeBuyHousesVolusia.com is the #1 home buying company in West Volusia County, Florida (Deltona, DeBary, DeLand), that helps homeowners sell their houses quick, for fast cash. 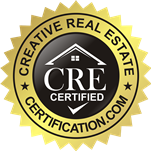 We are a team of well trained, highly educated individuals with knowledge in all aspects of real estate. We recognize the importance of open communication during this process, and we will always keep you informed on the progress of your home. We have a long track record of success, and our promise is to sell your home for the most cash possible. We are not real estate agents, so we will never charge you a commission. This allows us to put even more money in your pocket! Fill out the form on our website so we can start selling your home today! Or, feel free to give us a call at 386-279-4900 to learn more.